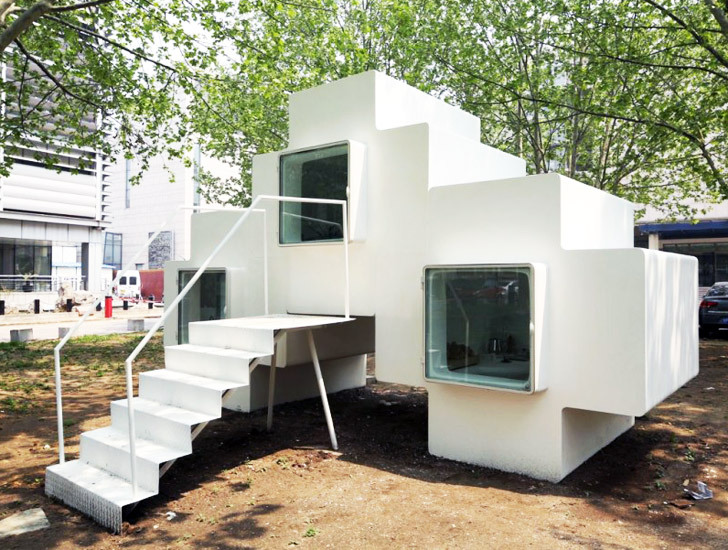 Studio Liu Lubin has designed a funky tetris-like modular house that provides the most basic sitting and sleeping needs. The shape of the Micro House creates shelter and furniture, and the space has enough room for resting, washing, working and cooking - but not much else. Constructed with glass fiber reinforced plastic, a strong but lightweight material, the Micro House is easily moved around by anyone, and it was deliberately sized to fit into a shipping container so that it can be transported as needed. Designed as a single functional room, the tiny modular home can also be stacked up to create a mini housing complex that meets China’s land use policies. 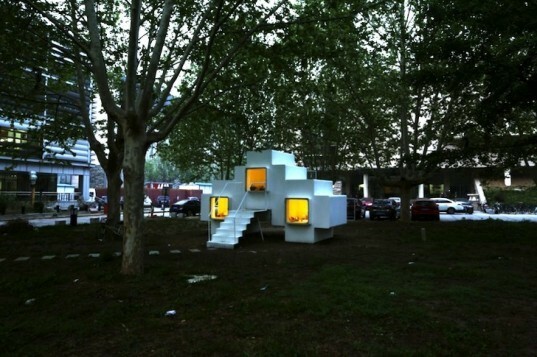 This funky little micro home is currently on display in a park in Beijing, China.